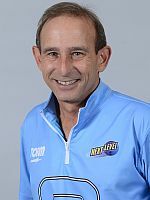 Brian Voss, who recently moved into the North Carolina neighborhood, threw two strikes in the 10th frame on the same lane where he had left a 7-10 split only two frames earlier, to defeat Lennie Boresch Jr. of Kenosha, Wis., 226-223, in the title match of the PBA50 Tour’s Mooresville Open Tuesday at George Pappas’ Victory Lanes in Mooresville, N.C.
Voss (featured photo and right), who won his only previous PBA50 Tour title in the 2016 Dave Small’s Championship Lanes Classic in Anderson, Ind., survived a wild final round of match play to earn the top berth in the stepladder finals where he had the title match under control until his pocket 7-10 let Boresch back into the match. 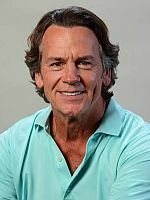 Voss’ clutch double in the 10th forced Boresch (left) – the only non-PBA Hall of Famer among the five finalists – to also double for the win, but the Wisconsin pro shop operator left a 4 pin on his first shot. 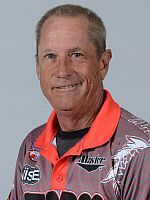 Boresch, fresh off winning his fourth PBA50 Tour title in the PBA50 National Championship at Spanish Springs Lanes in The Villages, Fla., a week earlier, eliminated Norm Duke (right) of Clermont, Fla., in the semifinal match, 232-222. 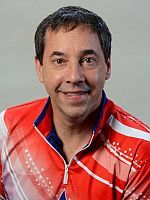 Boresch, who also defeated Duke in the PBA50 National Championship title match, used a late string of four strikes to overcome a pocket 7-10 split of his own while Duke lost his strike pocket early in the game and dug a hole he couldn’t escape. 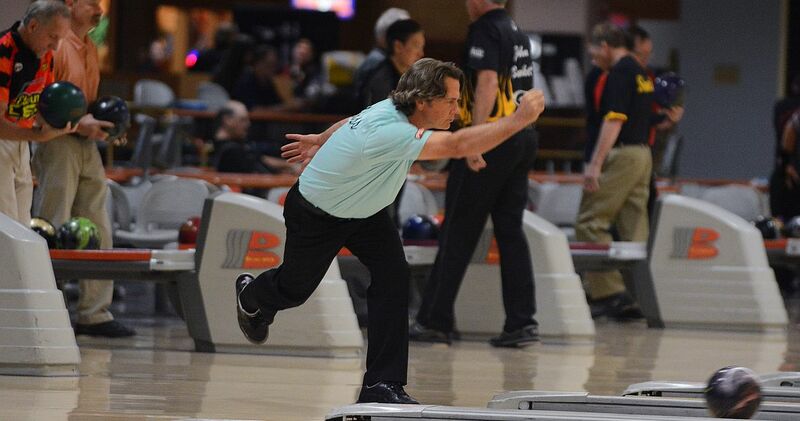 Duke started the stepladder finals with a 279-214 win over Parker Bohn III (left) of Jackson, N.J., with only a 10 pin in the fifth frame preventing a perfect game. 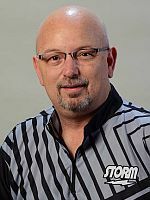 In the second match, Duke took advantage of Pete Weber‘s (right) only mistake – leaving and failing to convert the 3-10 split in the 10th frame – to win a classic battle with the St. Ann, Mo., hall of famer, 257-245.